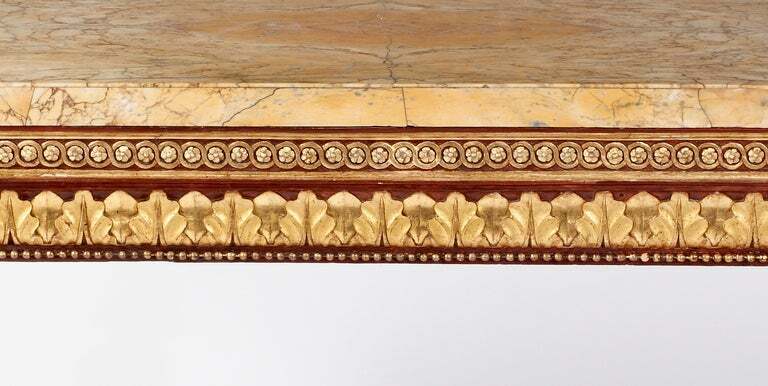 The sienna marble top above a frieze carved with rosettes and bell flowers, with a central medallion of an emperor, above carved tapering fluted legs. 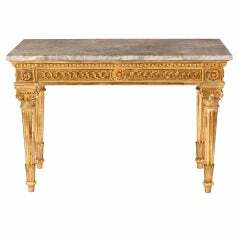 Nice copper finish console with smoke glass, matching mirror available. 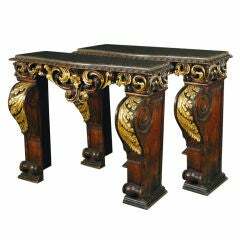 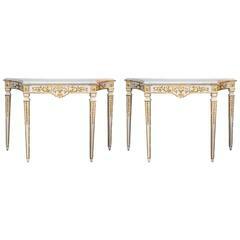 Pair of neoclassical painted and parcel-gilt consoles, circa 1800. 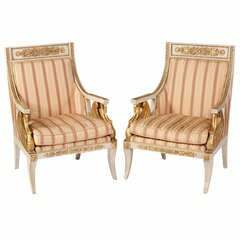 Priced and sold as set only. 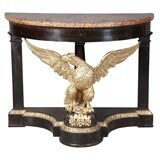 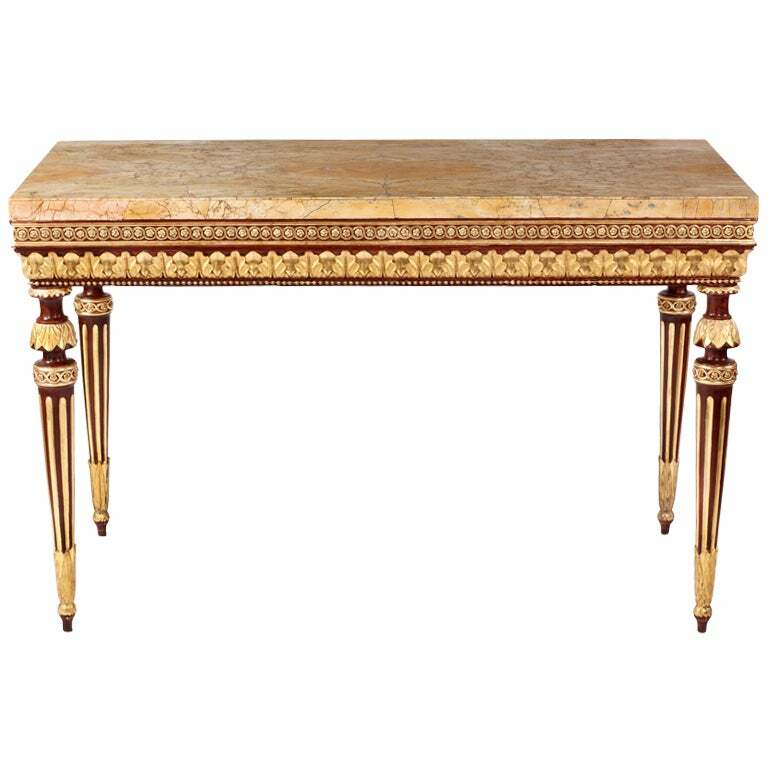 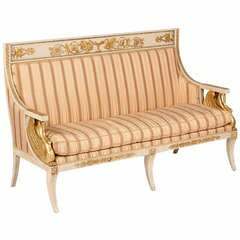 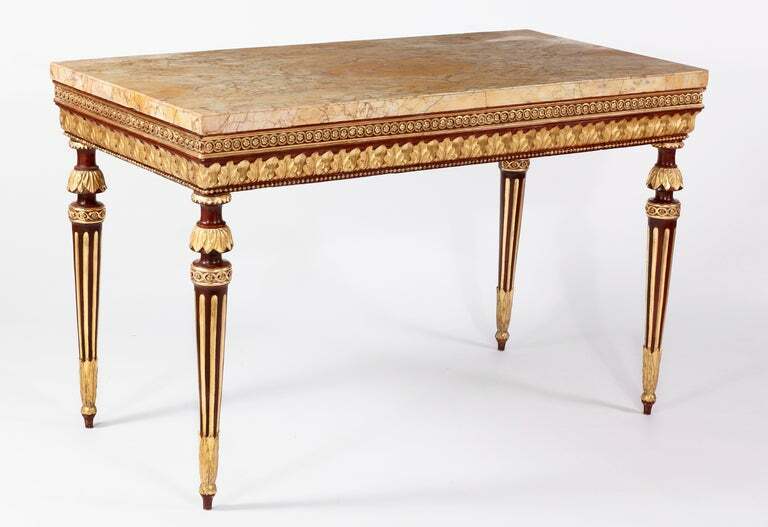 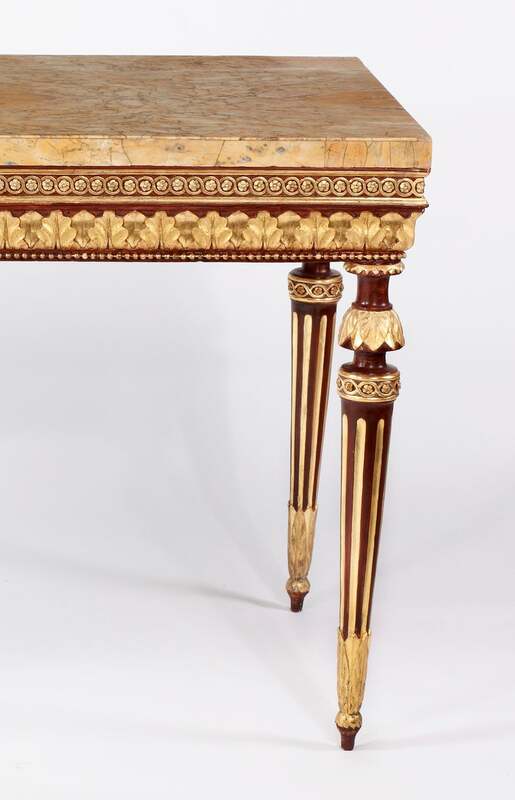 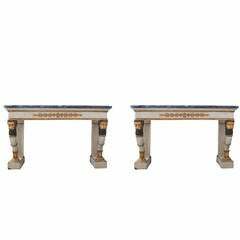 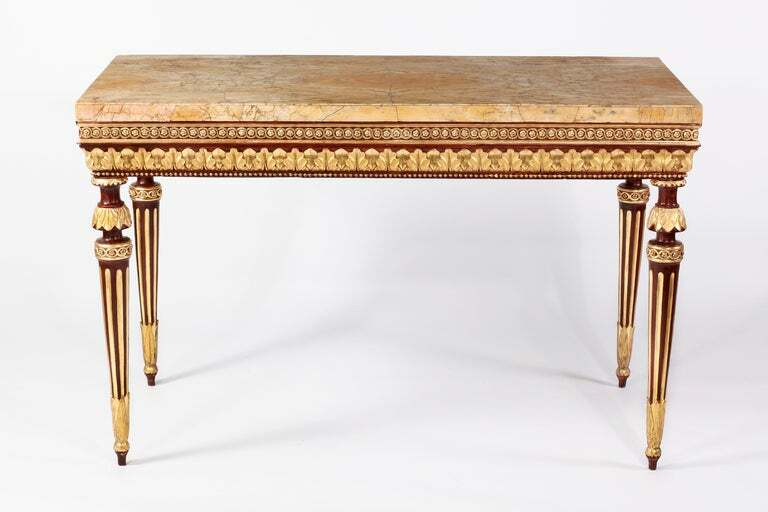 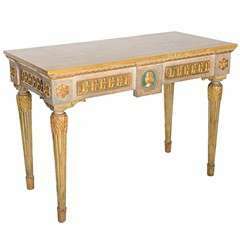 Dimension: 54.5" W x 24" D x 34" H.
Neoclassical Italian eagle parcel-gilt and mahogany demilune console table with a beautiful marble top.